The paintings in the chapel of the Annunciation are unique and executed in the fresco technique. 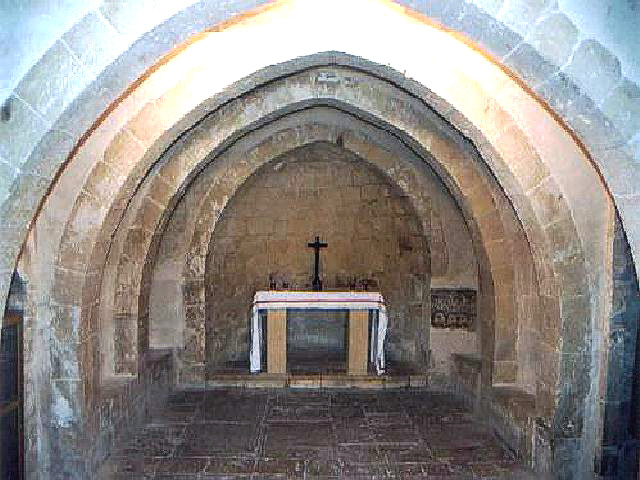 Their style and the angular Gothic letters of their inscriptions date them to the middle of the fifteenth century. 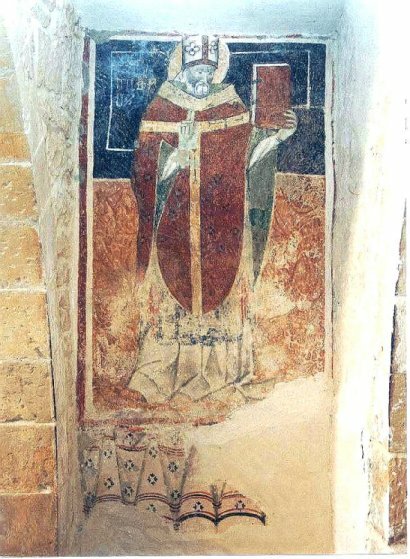 The frescoes cover all the interior walls of the chapel except the apse, and depict a number of saints such as Nicholas, Andrew, James, Lawrence, Vincent, John, Paul, Augustine, Blaise, Agatha and Leonard. St George appears twice riding a horse and slaying a dragon. The ‘Teenagers Din l-Art Helwa’ group began the cleaning of the chapel in February 1968 and no less than thirteen truckloads of rubble and debris were removed. 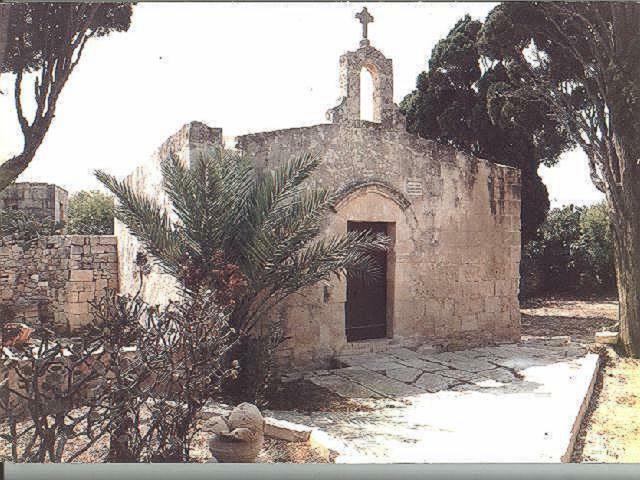 In 1970 a Trust was set up on the initiative of the Zurrieq Council and the management of the chapel was given to Din l-Art Helwa. Pieces of pottery, carved stone, coins and other historical items were found. The altar was dismantled, and only the large mensa stone and the alter step were retained. The gilt wooden retable and the altar front frame were given to the parish church of Zurrieq. The church had been whitewashed many times covering the precious frescoes. The restoration of the pictures necessitated the removal of the lime, salts and whitewash. Painted plaster about to be detached from the walls was consolidated and made firm by the injection of liquid lime. The plaster was carefully chipped away from the paintings thus extending the amount of paintwork visible. Unfortunately almost all of the lower parts of the paintings were lost. Maintenance of these frescoes is ongoing and over the years has involved institutions such as Courtaulds, Opificio delle Pietre Dure, the Malta University, Museums Department and the Restoration Centre. Humidity and salic aspects are monitored. The chapel is open for visits every first Sunday of the month, from 9.00 am to 12 noon.